Investing in a business is all about calculating risk. When you buy a company's bonds, or loan it money directly, you need to measure the risk of losing your money in a company default. The default risk ratio is a straightforward metric designed just for this purpose. To arrive at this number, you need some basic financial information that should be readily available, either through company reports or a look at current statements. Calculate the company's free cash flow. This is the net income after expenses, in addition to the amount of depreciation, minus dividend payments to shareholders. Company financial reports, including annual statements filed with the Securities and Exchange Commission, should reveal these numbers. You may also find free cash flow cited in independent research reports available online via brokerage websites. Cash flow is the "numerator" or top number of the calculation of the default risk ratio. Add together all required payments of principal on outstanding loans. Don't include interest payments or any prepayments, actual or projected, of principal. This number is the denominator of the equation. Divide free cash flow by annualized principal payments to arrive at the default risk ratio. The higher the ratio, the more likely that the company will be able to meet scheduled payments. Check the company's bond rating. Company bonds are rated by three major agencies according to the issuer's ability to make the regular payments. The default risk ratio is one of the essential metrics of credit risk that goes into bond ratings. The others are the ratio of debt to assets and the interest coverage ratio, which is the net profit divided by annual interest payments. Compare the default risk ratio to those of other bonds with comparable ratings. This serves as your "apples to apples" measure of bond values; generally, the lower the rating and the riskier the bond, the higher rate of interest it will pay. Your investment decision should be based on your time horizon, your comfort level with risk and the target mix of stocks, bonds and funds in your entire portfolio. Study the liquidity ratios of the company as well. The two most common are the current ratio -- current assets divided by current liabilities -- and the quick ratio -- current assets less inventories, divided by liabilities. 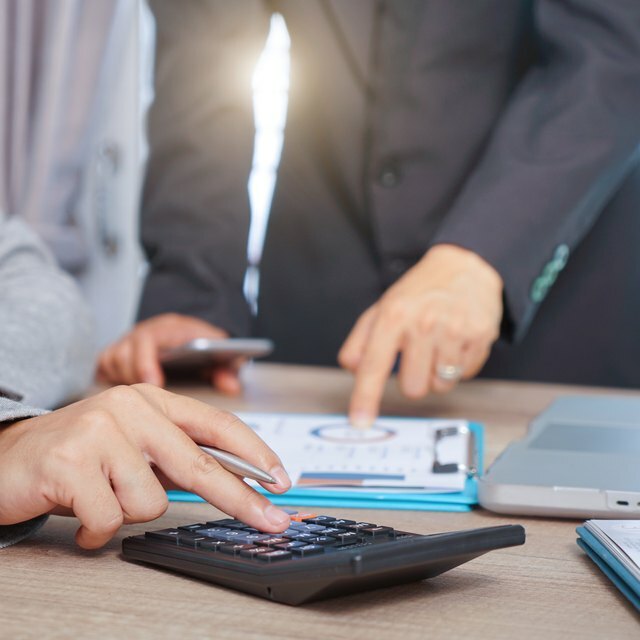 The former ratio reveals if a company could meet all obligations today with the assets it owns on hand; by excluding inventories, the quick ratio offers a much tougher standard of a company's financial health. Together with the default risk ratio, these metrics give you a multilevel snapshot of the risk of investing in any company of interest.